The month of May has gone by so quickly. After being back from the province of Antique over a month ago, I feel as though it is only now that I've finally had chance to blog about my vacation. Sorry (i'm slow).., blame it to my CRAZY long backlog. Anyway, this is the first vacation I took with my mom, aunt and my kids. 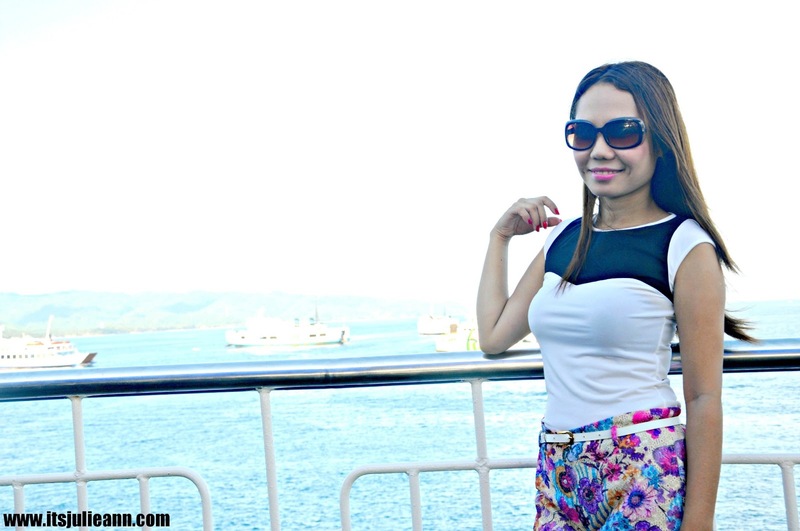 From Manila, we headed down to Batangas to catch the 2GO cruise to Caticlan that night. 2GO is the only ship that caters travelers direct to Batangas from Caticlan and vice versa. Our journey took 10 hours and the ship docked at Caticlan Pier. From Caticlan, Bugasong, Antique is about 3-4 hours bus drive away. Such a long and fun journey. We took this shot just as the sun was setting for the day. I woke up with the rising sun and I didn't want to miss such a difficult moment to catch. Rather than staying on my cabin, I spent several wonderful hours in this area at the front of the ship where I can enjoy the sun. Caticlan made me feel so happy, seing the sea and the gorgeous skies and mountains made of green tress was memorable. Beautiful-' its so great when you go on a trip you will never forget thanks for sharing sweetie. I'm following you now. Visit me again and follow. Hi Julie Ann !! thanks for your lovely comment! I love your shorts, amazing pics on a nice blog!! now I´m following you too! I want to ask you, I looove your hair do you put some products to have your hair so thick ? Fabulous ! Enjoy your travel !